Magpies in the Community offer weekday and weekend football coaching courses on a covered 3G AstroTurf pitch, the CAGE, at our York Road Ground in Maidenhead. Promote the clause of Respect, Fair Play, discipline and equality. Our Mini Magpies sessions are designed specifically for toddlers aged 1.5 to 5 years old and run on Friday mornings. 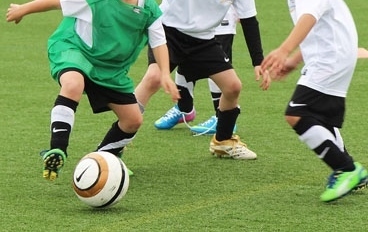 Our wider coaching programmes open to participants of all abilities and are intended to give children the chance to take part in excellent football and other sporting activities whilst enjoying themselves and making new friends. Our courses offer exceptional value for money and a great opportunity for your children to have fun whilst learning in a safe and secure environment. Magpies in the Community Development Centres programme, designed to support the development of talented players playing for local juniors clubs and provide a pathway to our the Maidenhead United FC Academy Programme and elite football. Promising players from both Soccer Schools will be referred by our coaches to the development centre and signposted to local junior clubs.